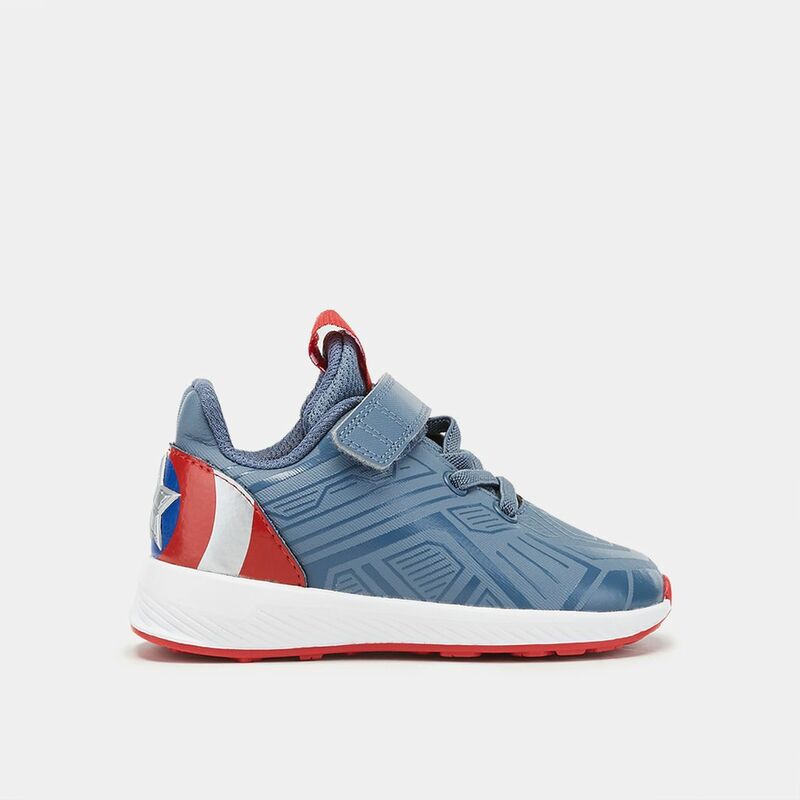 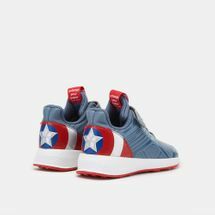 Unleash their superhero powers with the adidas Kids’ Avengers RapidaRun Shoe for little kids. 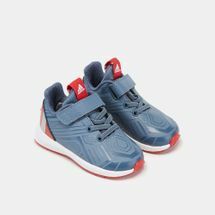 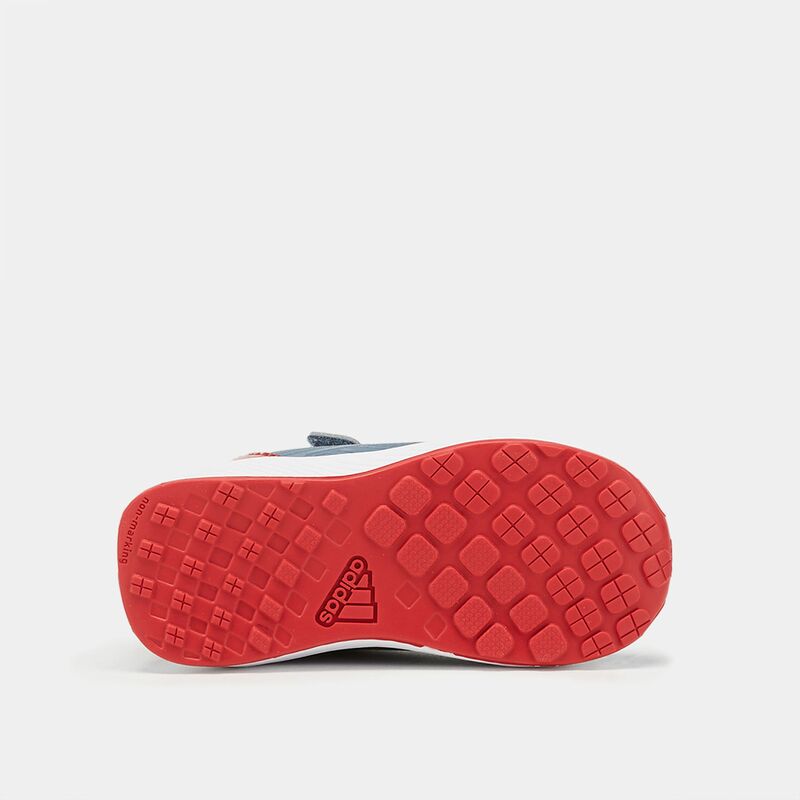 It has elastic laces with top strap for easy on off, lightweight zonal support and flexible rubber cupsole for grip and durability. 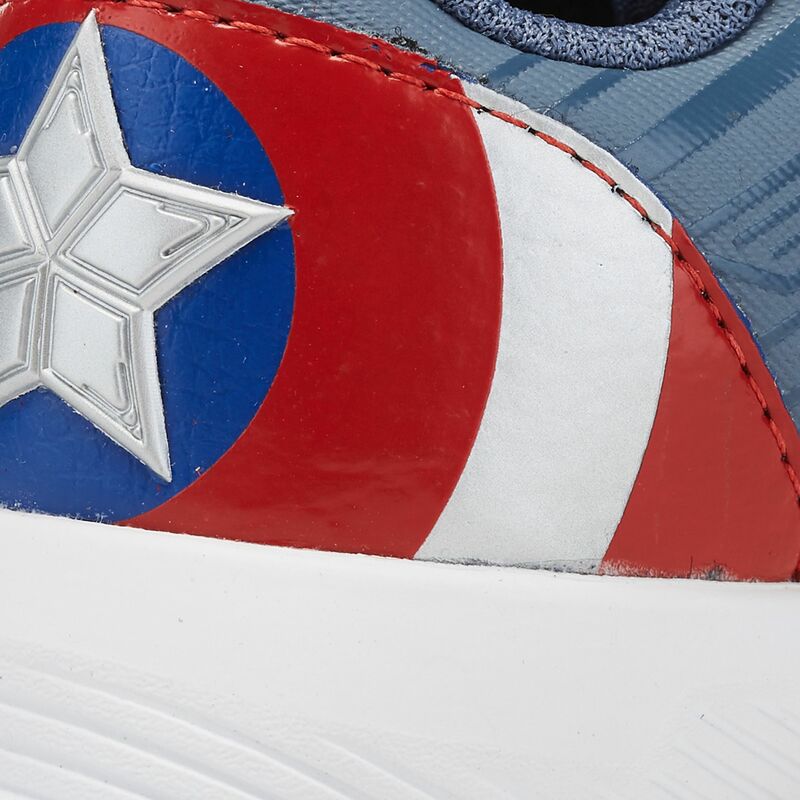 It features Captain America details.